“Everyone should be quick to listen, slow to speak and slow to become angry, because human anger does not produce the righteousness that God desires” (James 1:19). God gave us two ears and one mouth—that fact alone should tell us something, huh? I, for one, really need help learning how to keep my ears open and my mouth shut, especially when listening to my children. I get so insane as I attempt to manage our crazy, busy lives that sometimes I am actually the opposite: slow to listen, quick to speak and quick to become angry. Cultivating is something we continually do. We will never reach perfection. We will always be “in process.” I believe, however, that as we cultivate the art of listening, we will become better listeners. And that always speaks value to our children! My husband and I have four boys. Our family is busy, and our house is a mess most days. I trip over myself most days just trying to keep up with everything. I remind my boys of James 1:19 often, usually when I am screaming in an effort to be heard over the noise. (Does anyone else see the irony in this?) I need to remind myself of this same Scripture also before I go into full taskmaster mode in getting our house in order. Did I mention, he’s 8? After laying down a solid rant and being so caught up in the moment, I realize I had failed to notice the obvious. His stuffed animals, which were once on his floor, were now on his bed like I had asked. I forgot I told him to clean his room before picking up the toys in the living room. I messed up! I have a huge lump in my throat. It’s not a physical lump, but the kind of lump that makes me beg for a “do over!” I am made aware once again that my quick temper crushed him in his valiant effort to please me. (Friend, does this lump-in the-throat situation ever happen to you?) 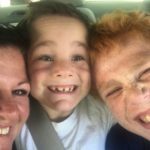 I could have avoided all this if I had just taken the time to be “quick to listen, slow to speak and slow to become angry.” The truth is even if Logan was playing with his toys when he should have been picking them up, my anger would change NOTHING. It’s the same with us. It’s not God’s anger that leads us to repentance. The Bible says it is his kindness that leads us to repentance (Romans 2:4). Keep in step with the Spirit. “Since we live by the Spirit, let us keep in step with the Spirit” (Galatians 5:25). We need to keep in step with the Spirit, especially with our kiddos. Parenting is difficult enough. I can’t imagine doing it without Him. One minute He might tell us to give our child a hug. The next, He might tell us our child needs a consequence. Or He might simply want me to slow down and take the time to really hear what my child is trying to say. Be fully present. We can’t truly listen to someone if our minds are always preoccupied. I’ve been guilty, and still struggle at times, of pseudo-listening. You know the kind of pseudo-listening I’m talking about, don’t you? I easily slip into this when we are in the car going somewhere. Maybe it’s because we are not talking face to face. I’m driving, and he is in the backseat. I’ve gotten so good at slipping into pseudo-listening–or at least I think I have. I mutter “yeah” and “okay” at all the right times, but my mind is a million miles away from that conversation he thinks we are having. Usually I’m distracted with really exciting things, you know, like what I’m making for dinner, my to-do list, or wondering if I washed my favorite pair of jeans for the next day. Undoubtedly, there are times we can’t give our undivided attention, but for the most part we need to be fully present in our children’s lives. I only have boys, so those of you who have girls will have to tell me if this is true or not. Girls communicate more face to face; whereas, boys, communicate side by side, usually involving a shared activity. 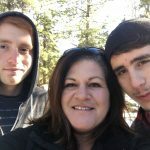 I used to think it was just a ploy to get out of doing all the dishes when my boys wanted me to help them do their chores. I’ve noticed, however, the times I was in the kitchen helping with the dishes was when we had some of the best conversations. Who knew?! Be intentional. Communication is more than just the words we say. It’s how we say them. It’s our body language. It’s using our eyes to convey what we are feeling. Real communication might mean turning your phone off, leaving the dirty dishes in the sink to be washed the next day or not watching your favorite TV series in order to hear what is being communicated. Being fully present in conversation conveys we care, we empathize with them, we value what they are saying because we value them, and we are a safe place for them to express themselves. 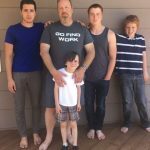 Even as I have written this, I have been challenged to be fully present when I am with my boys. To be proactive parents, we must cultivate the art of listening with our ears and our hearts. 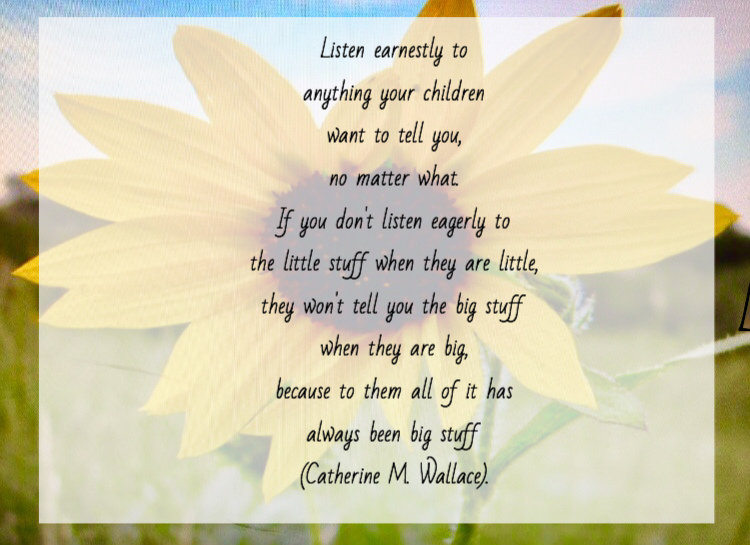 Children know when we are not truly listening. Planning what to say next, multitasking and not looking at them sends the message that what they are saying is unimportant; therefore, they are not important. Be patient. Sometimes our children do not have the vocabulary to express what they are truly feeling. Honest communication takes time. Value what they want to share. It may seem little and insignificant to us, but it is big stuff in their world. Do you struggle with being fully present when your kids are talking to you? Do you lack patience when they are going on and on about small, silly stuff? Do you struggle to keep in step with the Spirit in your parenting? As I share my struggles in life, there have been many people who share their “me-too” moments! Take a moment and share your struggles with the art of listening. Yes, I too, struggle with being fully present and listening well to my children. There are so many distractions! But I never regret it when I wait to speak and listen first. These are wise words that you’ve shared. Thank you for liking with Grace and Truth last week. I would love to feature this post tomorrow. Thanks, Dawn! It is something I have to be intentional about all the time. It’s nice to know I’m not the only one. I bet if more moms were honest, we would encounter a lot more “me, too” moments. I would be honored to have you feature this piece. Thanks for these reminders! I need to be more intentional in all of this!